Weather in California can be very unpredictable, specifically in the bay area. You have to dress smart and be prepared for sudden changes in the weather. Even though the summers are here, the winds can be really chilly. So you should layer your clothes smartly. As Mark Twain once stated “The coldest winter I ever spent was a summer in San Francisco”. 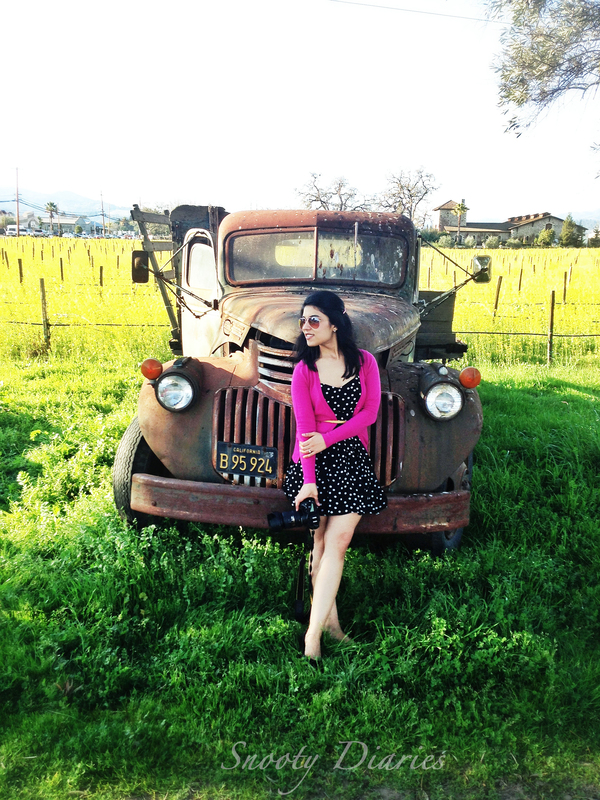 Few weeks back we went to Napa valley for wine tasting, even though it was sunny, it was quite windy at the same time. I had been wanting to wear my breezy Forever 21 dress since quite sometime and didn’t want to hide it behind layers of clothing, so I decided to pair it up with my fuschia Zara pullover to add a punch a color to the outfit. I added a waist belt over it to tie the whole outfit together and give it structure. This entry was posted in fashion, outfit, Style and tagged California, fashion, Forever 21, Napa, outfit, San Francisco, style, summer, zara. Bookmark the permalink.